Isle of Klezbos approaches tradition with playful irreverence and deepest respect. Now celebrating two decades together, the soulful, fun-loving powerhouse all-gal klezmer sextet has toured from Vienna to Vancouver since 1998. Band repertoire ranges from rambunctious to entrancing: Neo-traditional folk dance, mystical melodies, Yiddish swing and retro tango, late Soviet-era Jewish drinking songs, re-grooved standards, and genre-defying originals. Twenty years ago, Alicia Svigals released her groundbreaking album Fidl, the first contemporary recording of the deep and ecstatic klezmer fiddle music which had been beloved across Jewish Eastern Europe for hundreds of years. In 2018 she followed up Fidl with Beregovski Suite: a project with Grammy-nominated jazz pianist Uli Geissendoerfer. Together they bring to life long-lost melodies from the early 20th-century fieldwork of Moshe Beregovski, and re-imagine them for the 21st century. Saxophonist and clarinetist Debra Kreisberg performs, composes, arranges and records with the New York City-based Latin-jazz ensemble Los Mas Valientes, and the award-winning klezmer ensembles Metropolitan Klezmer and Isle of Klezbos, with whom she has toured in the U.S., Canada and in Europe. She is the leader of two jazz projects, East Harlem Trio, and The Highliners Jazz Quintet, and is a member of the Latin-jazz big band Bronx Conexión, led by master percussionist/composer Victor Rendón. 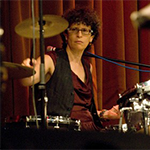 Debra has performed with MacArthur Fellowship winner Taylor Mac in the world premiere of Taylor Mac’s 24-Decade History of Popular Music; renowned singer-songwriters Natalie Merchant and Jill Sobule; jazz luminaries Harvie S, Chuck Redd, Sheryl Bailey and Tommy Campbell; the Rochester Philharmonic; and the world-blues project Hazmat Modine. 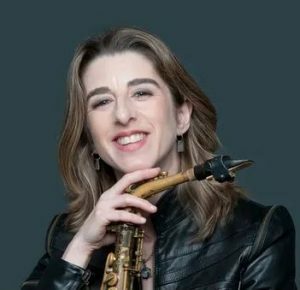 Her playing and compositions have been heard on CBS Sunday Morning, CNN Worldbeat, WBGO, SiriusXM Radio, Ebru TV’s Rhythm and Roots and on Showtime’s The L Word. 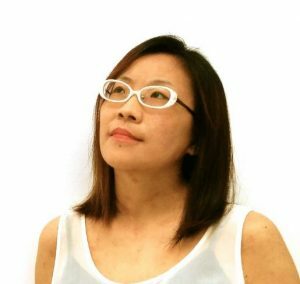 Shoko Nagai is a versatile musical artist who improvises and performs with world-renowned musicians on piano and accordion and composes original scores for films and live performances. Since moving to the U.S. from Japan and studying classical and jazz music at Berklee, she has adapted her mastery of the keyboard to prepared piano, accordion, Moog synthesizer, and other instruments. Whether she is performing Klezmer, Balkan or experimental music, Nagai is a charismatic presence onstage, who hypnotizes audiences with her intense focus and virtuoso sound. A veteran of the New York downtown music scene, she performs with John Zorn, Erik Friedlander, Marc Ribot, Miho Hatori (Cibo Matto), Satoshi Takeishi, Elliot Sharp and many eclectic performers. 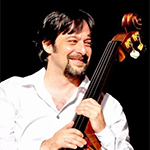 Brian Glassman is an extremely versatile musician, at home in almost any genre of music be it, Classical, Rock, Latin, R&B, Cabaret but he is perhaps best known for his work in Jazz, Cabaret and world music styles such as Klezmer. Some of the artists that Brian has performed, toured and recorded with include; -Jazz greats like; Paquito d’Rivera, John and Bucky Pizzarelli, Lionel Hampton, Sahib Shahab, Kenny Burrell, Benny Golson, Harold Mabern, Randy Brecker, Ken Peplowski, Gene Bertoncini, Billy Cobham to name just a few. Legendary interpreters of the Popular American Song Book such as Margaret Whiting, Michael Feinstein, Karen Akers and Liza Minnelli, and Anne Hampton Callaway. 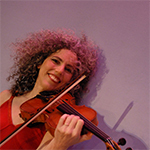 -Klezmer / Yiddish and Jewish music stars such as Andy Statman, Frank London, Zalmon Mlotek, Alicia Svigals, Michael Alpert, Greg Wall, Adrienne Cooper, Neshama Carlebach. Brian has performed nationwide and throughout Europe, The UK, Japan, S. Africa, Brazil, Israel and Russia and has just returned from 2 different month long tours of 12 countries in South Pacific Asia and The Mid-East for Jazz At Lincoln Center and the U.S. Dept. of State Bureau of Educational & Cultural Affairs as a musical ambassador representing the best of American musical styles with The Johnny Rodgers Band. Alicia Svigals was one of the founders in 1986 of the band the Klezmatics, and co-led the ensemble until 2001. With them, she appeared on A Prairie Home Companion, Rosie O’Donnell’s Kids are Punny, Good Morning America, MTV News, Nickelodeon, and NPR’s New Sound and Weekend Edition. As a composer for the group, she provided music for the play A Dybbuk by Tony Kushner, and collaborations with poet Allen Ginsbergand Israeli singer Chava Alberstein. They also performed with Itzhak Perlman on PBS’ Emmy-winning Great Performances documentary In the Fiddler’s House and on the Late Show with David Letterman, and appeared together in concert at Radio City Music Hall, Tanglewood, and Wolf Trap. Pianist and composer, Uli Geissendoerfer, is a versatile and remarkable musician exploring rhythms and melodies across many styles of music, with a special emphasis on World, Jazz, and improvisation. Originally from Musich, Germany, he now holds dual residency with the US and worked with, among others, Tito Puente, William Cepeda (awarded a Grammy nomination), Groove Collective, Giovanni Hidalgo, Blood Sweat & Tears, Leslie Uggams, Cirque du Soleil, Kofo the Wonderman, Uta Lemper, and David Cassidy.